Infographics: Infant mortality, life expectancy and overdose deaths in the U.S.
Around the world, pockets of poverty and conflict make it acutely dangerous to be a child. In Afghanistan hundreds of children were killed last year by improvised explosive devices; scores have been killed by Russian, Syrian, Saudi- and U.S.-led coalition air strikes over Syria, Iraq and Yemen. Drug gangs have murdered uncooperative teens in El Salvador, and errant mortars have claimed children’s lives in Ukraine. Life expectancy in the United States has now fallen behind peer nations in the O.E.C.D. It is well known that among its peer states in the Organization for Economic Co-operation and Development, the United States suffers the highest rate of infant mortality, but the new study describes the problem in stark detail. From 2001 to 2010, there were 69 infant deaths per 10,000 births in the United States, a rate 76 percent higher than the rate of 39 per 10,000 experienced by the 19 other affluent states in the O.E.C.D. And the bad news does not end at infancy. During the period covered by the Health Affairs report, American children who survived their first 12 months were 57 percent more likely to die before reaching adulthood. And by an array of other social markers, the United States lagged far behind Canada, Norway, Sweden and the 16 other O.E.C.D. states included in the study. The leading cause of death among U.S. infants was premature birth, three times more likely to affect American babies than those born in peer states. Car accidents were the leading cause of death for teens 15 to 19—twice the rate of the other nations included in the study—but the second-leading cause of death in that age group was firearm assaults. The report finds that the risk of gun deaths in the United States was 82 times higher than in peer nations. Drug overdose deaths have surged since the beginning of the century, largely due to prescription opioids. All O.E.C.D. states have made significant progress in reducing infant mortality since the 1960s, back when the United States was leading its O.E.C.D. peers; but beginning in the early 1970s, those nations begin to move ahead of the United States, and by 2010 they had leaped far beyond it. According to researchers, if the United States had performed as well as its peer states, about 623,000 deaths—90 percent of them among teens and children—could have been avoided between 1961 and 2010. “There is not a single category for which the O.E.C.D.-19 had higher mortality rates than the U.S. over the last three decades of our analysis,” the study authors conclude. The study was released just a few days before Congress finally horse-traded a restoration of the Children’s Health Insurance Program that was months overdue, leaving many states on the verge of shutting down their federally funded programs. That precarious, politicized approach to health care is one of the prime drivers of both the high cost and poor outcomes of the fragmented U.S. system, according to the report. Lack of access to adequate pre- and post-natal care appears to be a significant driver of high infant and childhood mortality in the United States. U.S. health care is consistently the world’s most expensive, but the nation continues to accept coverage lapses based on the ability to pay that are unknown in other O.E.C.D. nations. The Obama administration’s Affordable Care Act led to the highest health-insurance enrollment numbers in decades, but it still left millions of Americans out of coverage. That means thousands of U.S. families forego the care they need until health crises emerge. The alarm sounded in Health Affairs is not the only recent indication of U.S. health care in crisis. The National Center for Health Statistics reported in December that U.S. life expectancy had declined for the second year in a row in 2016. The last time U.S. life expectancy dipped was in 1993 during the AIDS crisis, but the nation has not seen a two-year decline since 1962-63, during a particularly grim influenza outbreak. What’s the Catholic response to the opioid epidemic? Hope in action. Gun violence is a contributor to diminished U.S. life expectancy that is essentially unknown in other advanced nations. According to a study released in 2016 in the American Journal of Medicine, homicide rates in the United States were seven times higher than in other high-income countries, driven by a gun homicide rate that was 25 times higher. The overall firearm death rate in the United States from all causes, including suicide and accidents, was 10 times higher than in the other high-income nations that were included in the study. Of the total firearm deaths among all the tracked populations, 90 percent of women, 91 percent of children from infancy to 14 years, 92 percent of youth 15 to 24 years and 82 percent of all people killed by firearms were in the United States. Overdoses claimed more lives in 2016 alone than the 58,000 total U.S. combat deaths during the Vietnam War. Among other major contributors to the downward trend in life expectancy, the nation’s opioid crisis appears to be having an impact. 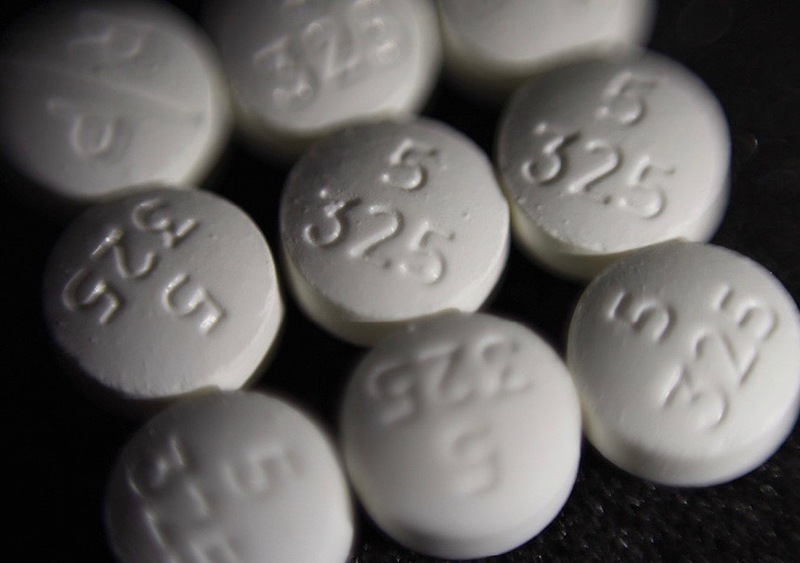 In 2016, overdose deaths leaped 21 percent higher than the already devastating 2015 numbers. With more than 63,600 deaths, overdoses claimed more lives in 2016 alone than the 43,000 who died during the AIDS crisis peak in 1995 and significantly more than the 58,000 total U.S. combat deaths during the Vietnam War. Health experts fear the numbers for 2017 will be even worse and that damage from the opioid crisis will continue until a stronger, comprehensive response confronts the crisis. So far, they complain, political rhetoric has been more forthcoming, from the federal level down, than practical programming and the federal and state monies to fund them. Without a significant intervention soon, the United States may see a life expectancy decline three years in a row, a statistical feat last achieved 100 years ago during the global Spanish flu epidemic. Sources for infographics: “U.S. life expectancy declines for a second straight year,” The Washington Post, Dec. 21, 2017; “Mortality in the United States, 2016,” National Center for Health Statistics, U.S. Dept. of Health and Human Services; Organization for Economic Cooperation and Development; “Child Mortality In The US And 19 OECD Comparator Nations: A 50-Year Time-Trend Analysis,” Health Affairs, January 2018; “Global, Regional, and National levels of Maternal Mortality, 1990–2015,” The Lancet, October 2016; Overdose Death Rates, National Institute on Drug Abuse. Sounds like a place one would not want to immigrate to. So maybe we should find a safer place for the dreamers who are being mislead about the United States. I assume America, the magazine, will come out against our tort laws which is a source of much of the high cost of medicine in the US. It is not the only big cost driver but the main one. There are others. Fee for service is another major cost driver. As far as decreasing age expectancy , a consideration is that it correlates with introduction of Obamacare and the expansion of Medicaid. In terms of higher maternal & infant mortality rates, it correlates to the shut down of Planned Parenthood in many areas. (The only low cost option. Look at Texas for an example.) And in states that did not accept "Obamacare", the shut down of rural hospitals & in many cases of maternity units within hospitals. Huh, the US was leading until the 1960s when the government decided to turn safety nets into lifetime entitlements and create a permanent underclass. The irony is that the problems started when the US adopted socialism, yet the article cites how great the socialist countries are doing relative to the US. You can't compare the US to other nations; we have a completely different culture and history from the rest of the world. I'd like to see a racial breakdown of the child deaths and see how it corresponds with the out-of-wedlock birth rates. Look at the correlation to the shut down of low cost options such as planned parenthood & also the shut down of rural hospitals & maternity units in hospitals in areas that refused Medicare expansion. The problems began when medicine began to be more effective - in the 1960's and 70's. The USA did not adopt universal coverage, so some populations were left out of routine, preventive care. That is the area where the most gains can be seen for the least money. If the poor are seen as undeserving of healthcare, they will die for lack of it. Their deaths are averaged in, and it doesn't take many premature deaths to bring down the average life expectancy. How can you mention infant mortality rates & not mention that the US also has the highest maternal mortality rate of all industrialized nations? 26.4 deaths per 100K births in 2015 (Canada is 7.3, Europe 7.2) --- even Iran has fewer deaths. But hey, Planned Parenthood needs to be shut down even if they are providing low cost prenatal healthcare. What do the women & their babies matter as long as it's not an abortion? Are billionaires harmful to U.S. health? The U.S. has fifteen times as many billionaires as Japan, but life expectancy in Japan, the longest in the world, runs four years longer than the U.S.
Billionaires are perhaps more harmful than smoking. Of the countries with a longer life expectancy, Japan has the highest percentage of men smoking. Close to half of all Japanese men smoke. It used to be almost 80 percent. This article also appeared in print, under the headline "Overdose deaths, infant mortality and reduced life expectancy: indicators of a nation in crisis?," in the February 19, 2018 issue.